Hawk CDJR near Chicago, Illinois is proud to be your one-stop destination for outstanding new vehicles, superior auto service, and innovative auto financing that gets you behind the wheel of the car, truck, or SUV you want. Whether you’re looking for an exciting Dodge Charger or a rugged Jeep Cherokee, we have the perfect Chrysler, Dodge, Jeep, or Ram vehicle for you and your budget. So go ahead and take a look around! If you have any questions about the vehicles or services on our site, give us a call or come visit us at our Chicago, IL auto dealership for an exciting test drive today. 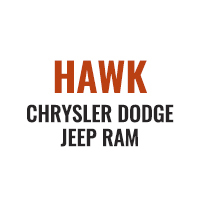 While there are countless dealerships to choose from in the areas of Berwyn, Cicero, Oak Park, Elmwood Park and Forest Park, you won’t find a more diverse selection of quality vehicles than what we offer at Hawk Chrysler Dodge Jeep. If you are searching for a quality new or used car dealer, you have come to the right place. We are constantly updating our inventory to ensure you, our valued customer, have access to the most desired, popular vehicles available today and from the past. Are you searching for a new Jeep Compass or an older Jeep Cherokee? If so, we have you covered. Come see us today to browse our huge selection of new and used cars, trucks and SUVs. If you’re looking for trusted automotive service that you can count on any time your vehicle needs a little TLC, look first to the certified technicians at the Hawk CDJR parts department and auto service center. We have convenient services, including Express Lane oil changes, shuttle service, car rental service, and Saturday hours to accommodate your busy schedule so you can spend less time waiting, and more time enjoying the Chicagoland area. While we are best known for being a reputable Chrysler dealer, Ram dealer, Dodge dealer and Jeep dealer, we also keep certified mechanics on staff to provide you with continued service after the sale. Our team understands you rely on your vehicle to get from place to place and need to be able to count on it without issue. While we are cars, trucks and SUVs dealer in the Chicago area, we also provide superior service when you need it. If you think to find the perfect new car or used vehicle needs to be a difficult, time-consuming process, think again. If you have a trade-in vehicle, you can get an accurate value from Hawk CDJR in minutes with our trade evaluator tool. Furthermore, if you’d like to find out what your future monthly payments will look like, check out our monthly car payment calculator. And if you’d like to find out what kind of auto loan you can qualify for today, fill out our short, secure auto finance application right away. Your information is 100% safe, private, and we’ll never share it with anyone. If you are ready to visit a top Jeep dealership and deal with a superior used and new car dealer, visit us today. We are ready to help you find the vehicle you want. 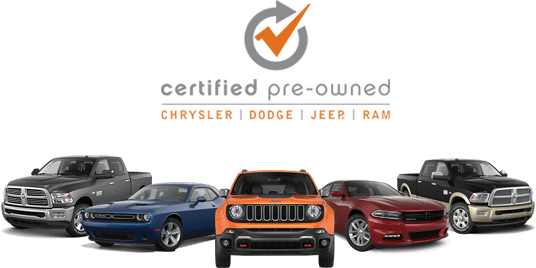 At Hawk Chrysler Dodge Jeep Ram, we know how important it is for the Jeep dealer or the Dodge dealer you choose to be able to work within your budget for the car you want. We work hard to ensure you can find the best quality cars or trucks at the most affordable price. If we don’t have it on the lot, we can try to find it for you. Our goal is to make sure every customer leaves our Jeep dealership and SUVs dealer satisfied and loving the vehicle they have purchased. We have served the residents of Berwyn, Cicero, Oak Park, Elmwood Park and Forest Park for many years now and are known far and wide for the quality vehicles we offer. Whether you are searching for a Chrysler dealer or a Ram dealer, we have it all, and at a top quality you can depend on to take you not only from Point A to Point B but do so in style. Looking for a new car dealer or are you more comfortable with a used car dealer instead? Don’t go to two dealerships. We have both used and new vehicles, from cars to trucks, to meet whatever need you have. At Hawk Chrysler Dodge Jeep Ram, we believe customer service is key to everything we do. When it comes to the customer, we believe service should be given with a smile, but our service people should be professional at the same time. It’s incredibly important for your car or truck to be serviced and repaired by a reputable repair shop. That is why at Hawk Chrysler Dodge Jeep Ram, we have an onsite service and repair shop. Our certified technicians are here to work on whichever vehicle you need help with, whether it’s one of our used or our new vehicles you have purchased. Searching for a car or truck with us is made easy and so is getting that car or truck serviced or repaired when the time comes. In today’s world, there are few customers who can walk into a Jeep or Chrysler dealership, or any dealership for that matter, and pay cash for what they want. That’s why at this Hawk Chrysler Dodge Jeep Ram new and used car dealership, we have financing options. The options we offer will work for almost any budget, and we are here to walk you through the process, from start to finish. If you are in the market for a new or used car and looking for a dealership you can depend on, you have come to the right place at Hawk Chrysler Dodge Jeep Ram. When you are in Berwyn, Cicero, Oak Park, Elmwood Park, Forest Park and the surrounding areas, stop by and let us help you find the car or truck of your dreams.